There is no record of which property William Jaynes was attempting to break into when he was arrested on the eleventh of September, 1939. He got thirty days in jail. William worked in Johnson Bronze. His wife died of a heart attack in 1953, at the age of thirty-seven. They had no children. He got a job cutting hair at the Lawrence County home for the aged. After a while, he went to work in the Castle restaurant in Youngstown, Ohio. In 1968, when he was fifty-five, he went back to New Castle to visit his aunts for Christmas. He got a room in the Fountain Inn, a run-down place that had stood on the Diamond since before the civil war and had been known for a spell in the twenties as the best hotel in west Pennsylvania. On Christmas eve, a fire broke out. There were five residents in the hotel’s two hundred rooms. Three died, including William, whose body was found in the ruins a week later. It was the third major fire on East Washington street that winter, and the second antiquated hotel to go up in flames that year. There was talk of arson, but the inquest ruled the deaths accidental. Six years after the fire, William’s aunts wrote a poem, which they posted in the memorial column of the New Castle News. His sudden death surprised us all. Sources: New Castle News (3 September 1918, “Two Divorces Are Granted”; 2 May 1934, “Engagement News”; 10 August 1934, “Oliphant-Jaynes”; 18 August 1953, “Deaths Of The Day”; 30 September 1939, “Sentence Three For Robbery Here”; 24 December 1968, “Fire Sweeps Fountain Inn”; 2 January 1969, “Body Is Found At Fire Scene”; 21 January 1969, “Fires Claimed 5 Lives”; 24 December 1974, “In Memoriams”). Love these – keep up the great work. Just out of curiosity, why does the headline say “Fire Claimed 5 Lives” when your retelling has only three? Hi Jake – thanks for writing, and double thanks for the compliment. The headline actually says “Fires”, plural. The story was about the series of likely arson incidents that destroyed old, run-down buildings in the middle of town – three died in the Fountain Inn fire and two died in the others. The loss of life is tragic, obviously, but the loss of those great old hotels was pretty bad news, too. Hi Diarmid – Many thanks for all of your time and efforts to write such a cool blog. It is so much fun to read these articles (is that what you call them), and get a flavor of the history of New Castle. We’ve only been here in New Castle for 1 year, but we really love it (note to all New Castle haters: go live in California and you’ll be back here quickly saying, ‘it’s good to be home’). Your historical blog has added to our growing affection for the area. Thanks for the tiny vignette of one man’s life. The poem was a nice addition to the back story to remind us of the impact of one person’s life. You’ve kept him from disappearing completely. Thanks Steve. You can imagine how pleased I was to find the poem about him. It’s a lovely thing. Thanks so much, Anton. 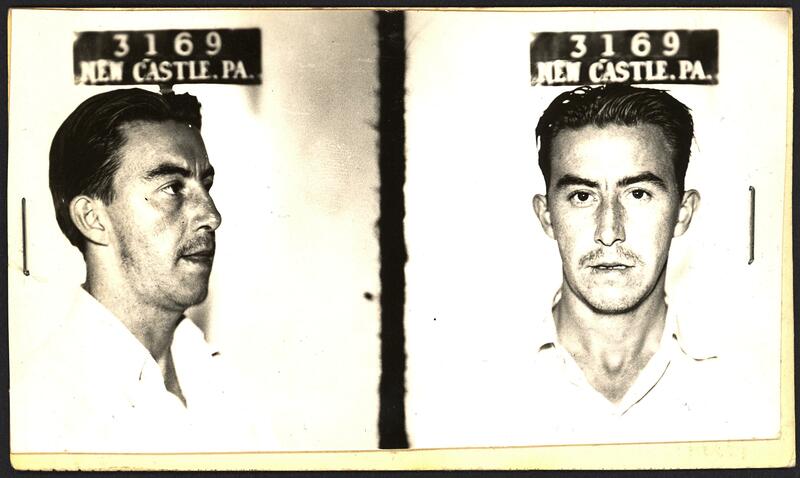 I’ve been meaning to do more on The Unsung Joe but New Castle has sort of swallowed me up. What I need to find is a bit-part actor in a film noir who turns out to be from New Castle – that would be perfect! Some of them look the part, that’s for sure!